Significance of Valentine’s Day is eminent to everyone. Valentine’s Day is the day on which lovers express their love for each other. This is an annual celebration held on February 14 for celebrating love and care between the intimate companions. This multicultural festival is perhaps the only festival celebrated all over the globe with the same spirit and passion to express love for the special someone in life. Valentine’s Day 2011 is very auspicious according to the astrologers and the significance of Valentine’s Day is that Venus; the ‘Love Planet’ is in the constellation of Sagittarius on this day. In the Natural Zodiac, Venus is the lord of the 2nd and 7th houses and Sagittarius is in the 9th house. This means that those in relationship will find this as a good period, as the energy supports ‘taking it to the next level’. This ‘next level’ could even be wedding! For those that desire, there is a great chance of conceiving a child at this time. 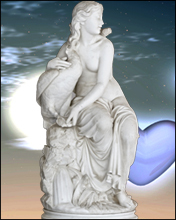 Venus – The planet of love influences and encompasses sensual, romantic, worldly love as well as service focused devotional Godly love. It is the key to transformation as this planet governs all the aspects of important qualities of life. Everyone wants some sort of relationship with an individual, individuals or groups that they deal with and relationship is the most powerful emotional experience. Relationships can fill the heart with joy or thrust a knife into the heart of people depending on the karma of the individuals. Since relationship is emotional, it is hard to control or regulate it. First, there might be problems in attracting relationship then there are always challenges, but it is in relationship where we have the opportunity to evolve the fastest. Some special energized Gemstones and Yantras also perform the tricks which help you to be successful in your love life. Valentine day is not a festival meant only for youngsters. Crossing the forty’s should be no reason that you restrain from celebrating the lovers day. In fact after all those years there is an urgency to keep the romance alive in your life. So join hands with AstroVed to evolve your love life. We, at AstroVed, are conducting special Homas and Archanas on February 14th. We are also providing special energized yantras and gemstones that will help you to express your love or to even replenish your lost love and to make him or her feel special all over again on this ideal day. So enjoy the Significance of Valentine’s Day with AstroVed to make your days a memorable one.